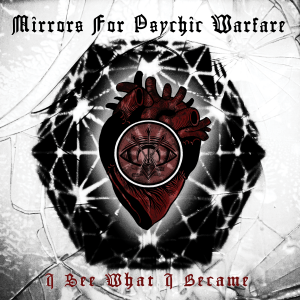 MIRRORS FOR PSYCHIC WARFARE, the industrial collaboration between Neurosis’ Scott Kelly and Buried At Sea’s Sanford Parker, will unleash their second chapter of sonic anxiety on 28th September 2018 via Neurot Recordings. I See What I Became, the follow-up to the duo’s 2016’s critically-lauded, self-titled debut was produced by Seward Fairbury (Corrections House) and Negative Soldier, mastered by Collin Jordan (Eyehategod, Indian, Wovenhand, Voivod etc.) with decibel manipulation by Dave French (Brothers Of The Sonic Cloth, The Anunnaki), and comes swathed in the cover art of Thomas Hooper (Neurosis, Harvestman, Boris, Tombs, Doomriders).